JUJ has only covered 65,000 miles from new. It has had three owners since new of which a majority have owned the vehicle for long periods of time. The last owner acquired the vehicle on 6th August 1989. JUJ 139W is a Salop, Shropshire registration number the vehicle has until now remained in Shropshire all it’s life. It is in one of favourite colour combinations Pastel Green with the Limestone Wheels. 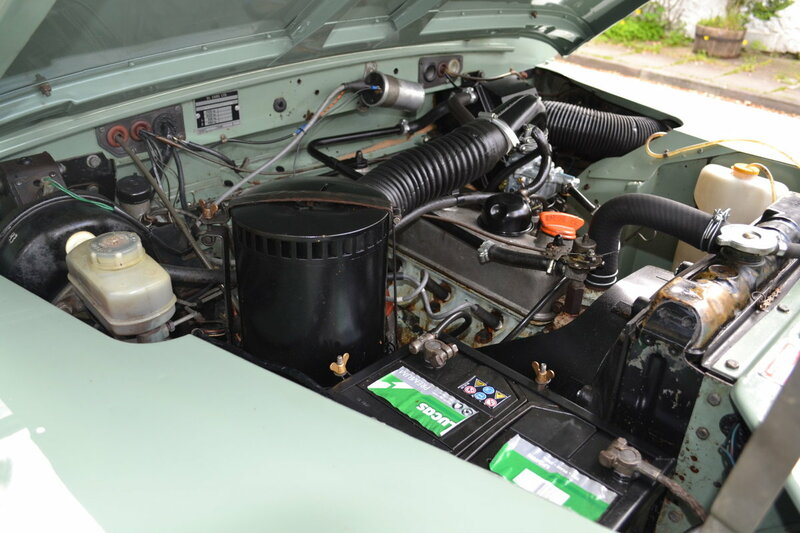 To find an unmolested example has become very hard, but to find one that has had just three owners, only covered sixty-five thousand miles, retains all of its original panels, its original chassis, engine, gearbox and interior is becoming very hard. The bodywork on JUJ is immaculate and all the panels are straight with no dents or scraps. 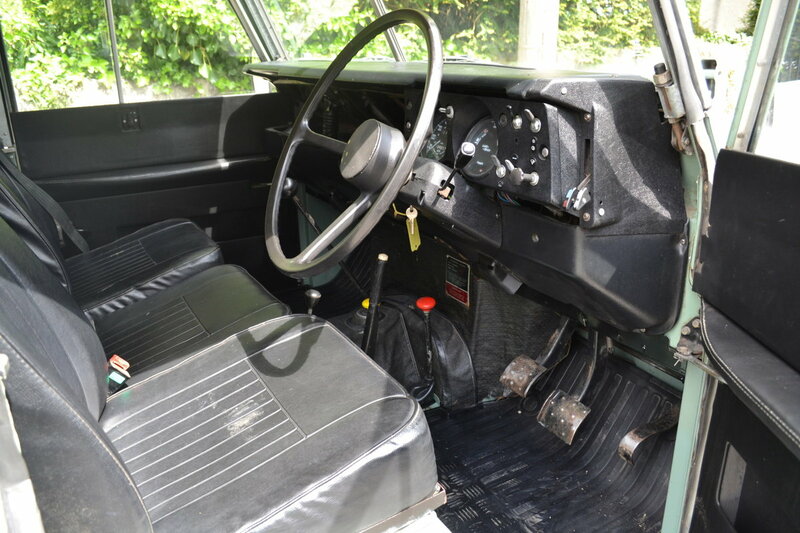 The interior still retains the original factory fitted Deluxe front seat backs are in good condition as are the bases, they have never been replaced and are the originals to the vehicle these are of much better quality than replacements that are now available. It was also important to us that we kept as many original parts of the vehicle as we could and as the seats are in such good useable condition we kept them as this wasn’t intended to be a fully restoration but a preservation. Door cards to the front doors have been replaced and new rear bench seats have been fitted. It still retains all it's original triplex glass in the windscreen and door tops. The dash is unmarked with no cracks or sun damage. All windows open, all the window channels are good and because the vehicle has been kept under cover not rusted away as so often is the case. The load area is exceptionally clean and doesn't show any sights of heavy use and is presented with a rubber mat and the bench seats . JUJ 139W has one of the best original engine bays we have seen on a Series 3, extremely clean with original stickers still in place. The head has been refurbished and now benefits from harden valves and so you no longer need to worry about putting in lead additive. The block still has it’s original paint as does the head. Factory fitted inner mud shields unusually still both in place and are intact. The factory fitted engine busts into life on the turn of the key. 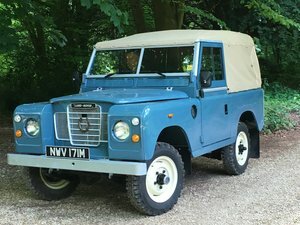 It is apparent that this is a vehicle that has been maintained and covered low mileage it runs as quiet and smooth as any Series Land Rover that we have ever had. A joy to drive and such fun, the vehicle will have a full 12-month MOT from the day of sale. Four wheel drive and low range engage, as they should. The gears change up and down as they should it has a very quite gearbox which is a good sign of it's light use over the years. Also it is fitted with an overdrive which also is very quite and really ads to the driving experience it helps give more miles to the gallon and also a higher top speed. Will be supplied fully serviced including engine, filter, main gearbox, transfer box, overdrive, diffs ad swivels. 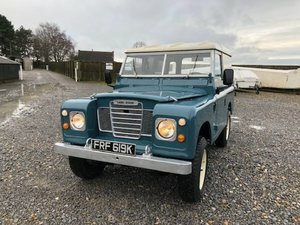 Almost all Series Land Rovers we have had drip a little oil, some quite a lot, JUJ 139W is the exception though no drips of oil to speak of even after standing for days in the same place. The steering is as it should be and the vehicle doesn't wonder on the road like some series vehicles do. All the tyres are have been replaced and are brand new. 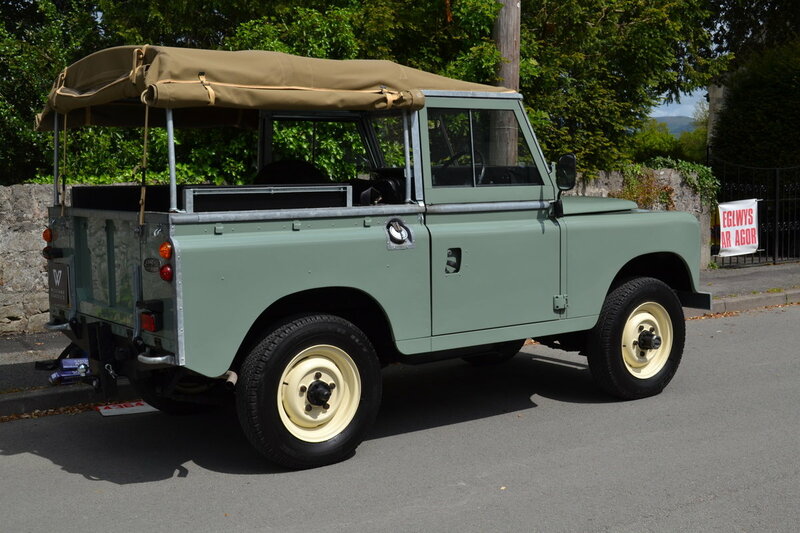 JUJ 139W is an unmolested and well-presented Series 3 Softtop in immaculate original condition. All the numbers match - the chassis numbers on the plates are the same as on the log book registration document and that stamped on the chassis itself. The engine number also matches that recorded on the logbook. 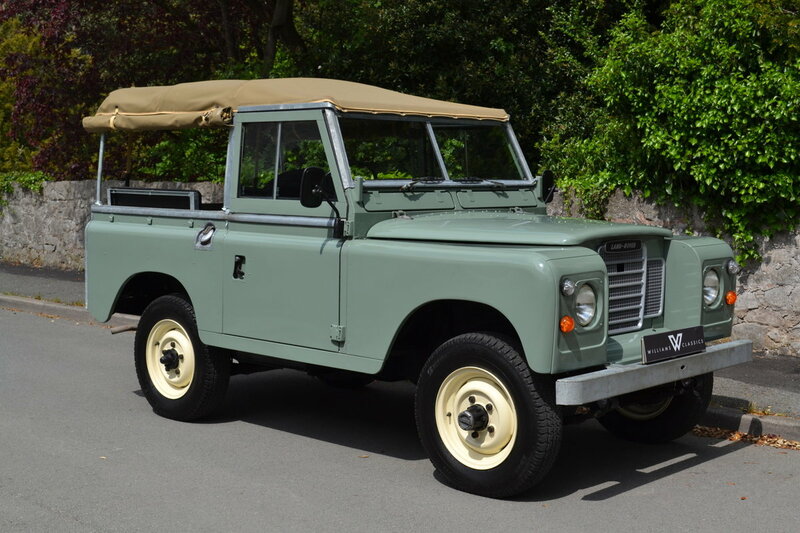 This is one of the best low mileage and original untouched Series 3 we have ever had the opportunity to own. This Land Rover has obviously been cared for and cherished by its previous owners. It is very solid example that requires no work and is ready to use and enjoy. If you are an investor you will already know the growing importance of original un-messed with condition for classic cars. 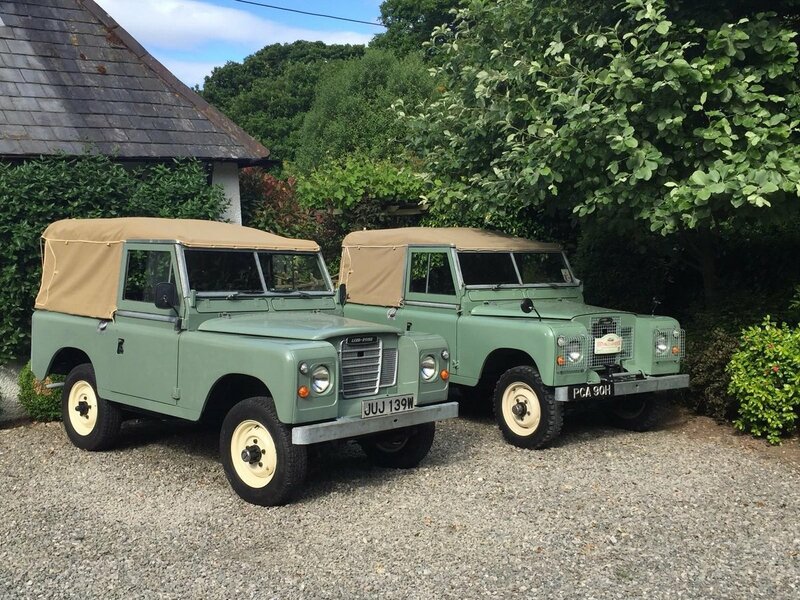 You will also know that Land Rover never used galvanised chassis for production of Series vehicles - so one that's been fitted with one cannot by any stretch claim to be original and un-messed with. If you are an enthusiast then you will not be disappointed with this vehicle as it is perfect in almost ever detail and is exactly as it left the factory 39 years ago. 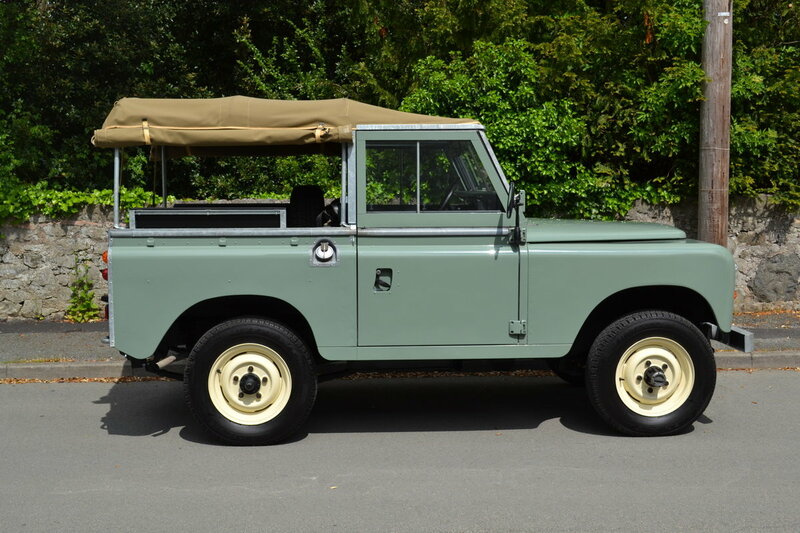 This is a very honest 39-year-old Series Land Rover. You will have to go a long way to find a better vehicle. Anything on this Land Rover that required attention has been done it is now faultless. Any trail or inspection welcome, Credit and debit cards accepted, Delivery can also be arranged, P/X welcome, Any enquires please call 078255 87155.